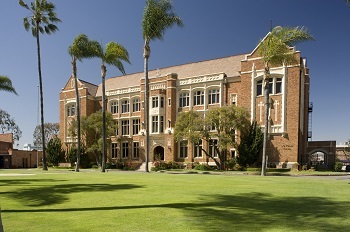 With the closing of the 35th annual Senior Service Project (SSP), three Loyola seniors have been recognized for their service and leadership to the community by the Archdiocese of Los Angeles. 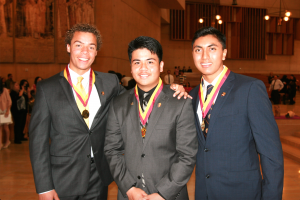 Seniors Akinty Carter, Alexander Goodman and Fabrizio Robalino have been awarded the Christian Service Award for their efforts in serving the greater Los Angeles community. 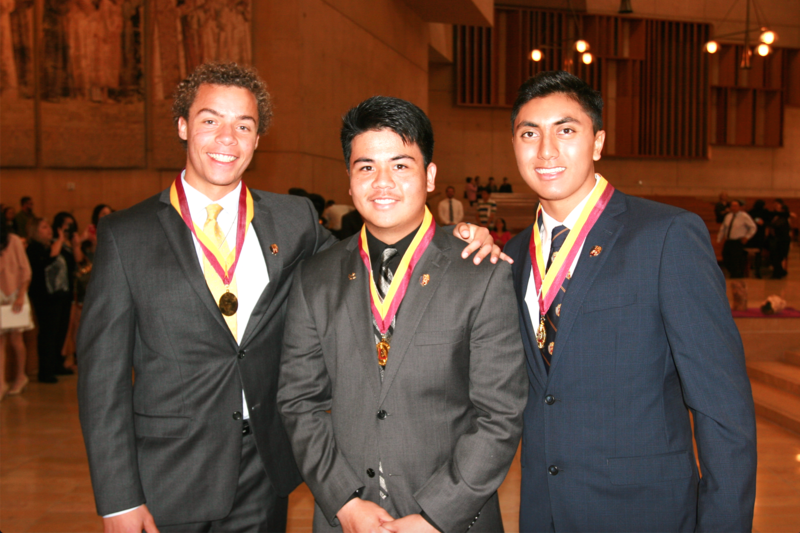 The awards were presented on March 16 at the Cathedral of Our Lady of the Angels. Community Service Director Tom Zeko said, “The gentlemen all followed the message of being the change they want to see in the world. This quote relays the message of working and praying together for the common good,” Zeko said. Akinty Carter, a member of the Soka Gakkai International (SGI) USA Buddhists, started his Loyola service experience with the High School Placement Test (HSPT) tutoring sessions. Carter accumulated a total of 115 hours in 23 sessions participating in this tutoring program. Immersing himself in his Japanese culture, Carter also volunteered as a Japanese-English translator for students from Brigham Young and Loyola Marymount University in 2014 and 2015, respectively, who are engaged in health education seminars. Goodman, a parishioner at Our Lady of Malibu Church, consistently participated at Los Angeles School on Wheels since 2013, a program focused on weekly tutoring and literacy skills sessions for homeless children living in the Skid Row Area. Robalino has also been recognized for his involvement in community service. Robalino led peer volunteer groups for Big Sunday from 2013 to 2015 acquiring 92 hours from this site. He led volunteers that refurbished inner city grade schools, assisted in gardening projects and secured school supplies for students. He also volunteered for Meet Each Need with Dignity (MEND) in San Fernando Valley, where he helped collect, sort and deliver food and clothing supplies to needy families. For his SSP, Robalino served at the Braille Institute as a volunteer instructor for arts and crafts. He volunteered in the publication center for school-age children, and he packaged and distributed educational materials for the blind in North America. Under the motto of “Men for and with Others,” “Carter, Goodman and Robalino have shown profound leadership and dedication to the benefit of the L.A. community,” Mr. Zeko said.